If you like Mozilla, you probably love Thunderbird. It may not be one of the biggest names out there in terms of market share, but it sure has its vibe. And it’s great when it comes to managing emails, but… there’s a problem. Have you ever tried to migrate your mails from Thunderbird to Thunderbird, on two different machines? If so, you already know .mbox, the file extension Mozilla uses for its client. However, that’s not the case for all email clients out there. Each has its own extension: .rge, .emlx, etc. That being the case, it’s not possible to migrate your mails from Thunderbird to any other software — not even Outlook, one of the biggest names around, since it uses .pst files. But we came up with an idea: what if you could just convert your .mbox files into .pst files and then import them into Outlook? And that’s just what MBOX to PST Converter does, (yeah, we ain’t geniuses at the naming game). MBOX to PST Converter does not only convert MBOX files into PST seamlessly, but also EML ones, (a more standardized format). Same price, same process, twice the power. Sometimes, foreign languages and complex content, (like Unicode or double-byte characters, as in japanese and chinese), can complicate things. Our product, though, deals with it. With other conversion software, there’s a fair chance of losing your attachments in the process of conversion. But Gladwev MBOX to PST Converter has you covered — we keep them tight. Nested hierarchies sound complicated, right? They are, when it comes to making sure everything stays in place through a migration process. Let our product take care of that. What else could you ask for? Maybe a mojito, but that’s for another time. There’s a free trial below. Why don’t you check it? Give it a go! What are the limitations of MBOX to PST Converter Trial Version? It’s a fully functional copy of the app and lets you experience the MBOX to PST conversion process first hand. Only limitation is while exporting the converted data, the app exports only 10 mails each folder while using Trial version of our App. I am still waiting to receive my PC, will the mbox to pst conversion process be completed on my Mac? 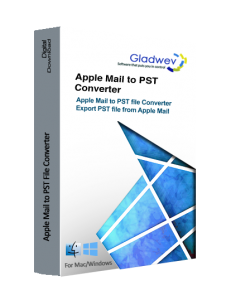 Gladwev MBOX to PST Converter is the only app that works directly on Mac. You can export the mbox mail archive file and add those for conversion . You can copy the output .pst file over to the PC on a Portable USB disc drive or over the network as and when you get access to your new PC. Add the PST file to outlook and you are all set. Do I need to Wait for the Physical product to be shipped to start with mbox to pst conversion process ? No, not at all, our software is a Digital Download as we care for mother earth, the software can be downloaded instantly. You will receive a License key on your email address specified while placing the order with in 15 minutes. You are all set to proceed with conversion, after Activating your MBOX to PST Converter license.